Your local internet service provider probably doesn’t have the fastest DNS servers. That can slow you down, since your browser needs to look up the IP address of every web site you try to view. 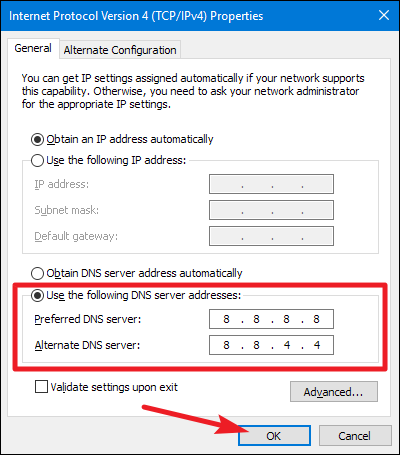 Here is how to switch to either OpenDNS or Google DNS for faster browsing times. DNS servers work by matching the domain names you type into apps—like web browsers—to their associated IP address. When you type a domain name into your browser, for example, your PC contacts the DNS servers it has listed, the server looks up the IP address for that domain name, and then the PC can fire off it’s browsing request to that IP address. The trouble is that most ISPs maintain DNS servers that can be a little on the slow and unreliable side. Google and OpenDNS both maintain their own, free, public DNS servers that are typically much faster and more reliable. You just have to tell your computer to use them. Note: The techniques in this article work in Windows 7, 8, and 10. Right-click the network status icon in your system tray, and then click “Open the Network and Sharing Center” on the context menu. 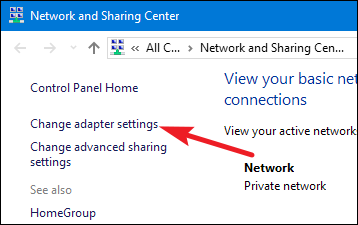 In the “Network and Sharing Center” window, click the “Change adapter settings” link at the upper left. 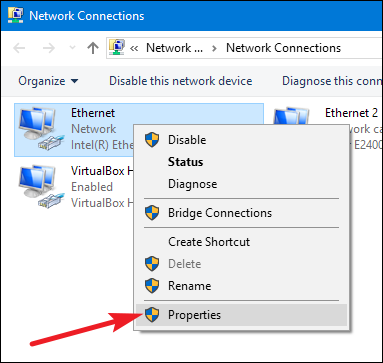 In the “Network Connections” window, right-click the connection for which you want to change the DNS settings, and then click “Properties” on the context menu. 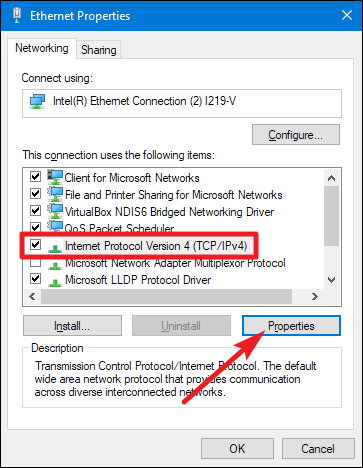 In the properties window, select “Internet Protocol Version 4 (TCP / IPv4)” on the list, and then click the “Properties” button. We’re using Google DNS in our example, but feel free to use whichever you like. 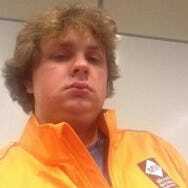 When you’ve typed in the addresses, click the “OK” button. From now on, you should experience quicker and more reliable DNS lookups. While it’s not going to make your browser suddenly screamingly fast or anything, every little bit helps.